You can’t underestimate the importance of company culture in any field, but it’s especially important when you’re working with a Design-Builder. By definition, company culture includes the values, vision, standards and thinking of a business. Combined, these things influence every decision a builder makes. To help you succeed with your upcoming construction project, we’ve created a list of must-ask questions for your short list of builders. If your construction partner passes the test, you’ll be in good hands. You’ve started your search, and thoroughness is crucial. These must-ask questions will get you started off on the right foot before you start your construction project. 1. What’s your process for gathering information before you fill out a bid form? What information do you need in order to put together an accurate bid? 2. What kind of experience do you have in building the kind of structure I need? Who would I directly work with and what’s their experience? 3. Do you have a portfolio of projects you can show me? 4. Can you name 5-10 client references and provide their contact information? Can you also include a list of contacts at several vendors who work with you? 5. [For another contractor who isn’t competing for the bid] How would you describe the company I’m evaluating? What’s their reputation? 6. What can you tell me about the history of your company? How does your company history impact the way you build today? 7. Can you sum up your company philosophy and what you stand for in just a few words? What are some real examples of how your core values impact your company and your work? 8. 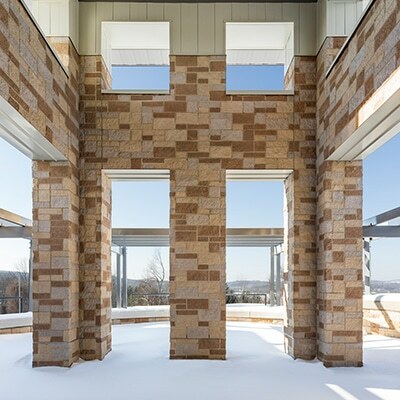 What do you value most from an artistic and architectural viewpoint when designing for a build? What is the purpose of artistic creativity in your builds? 9. What is your track record of delivering projects on budget and on schedule? Are there any references who can attest to your track record? Make sure you’re not missing anything during construction. These questions for your Design-Builder will keep you on the right track. 10. How quickly can you actually implement a plan? 11. What kinds of specialty-certified construction professionals do you have on staff? Do you currently employ the people necessary to start building or will you be assembling a team specifically for this job? 12. What existing relationships do you have with specialty vendors and materials providers? 13. Have you ever built in emergency situations when clients vitally needed something ASAP? Can you provide any references for your emergency construction work? 14. What communications process do you use to keep clients up to date both in the design and construction phases? 15. Can you walk me through the different phases of construction as it pertains to my structure? What kind of information and action do you need me to take throughout each phase in order to keep the project moving? 16. How do you account for Murphy’s Law as you schedule out your build? What do you do when you face bad weather? 17. What safety procedures do you have in place when you’re on a job site? Do you have certified, specialty-trained safety professionals on staff? 18. Can I see your safety track record? Have you been recognized for being particularly safe on the job-site? Can I talk with any of your job-site supervisors to get a sense of how they handle safety? 19. How do you decide which energy-efficient materials and systems to use in your builds? 20. Do you have any LEED-certified personnel? Have you built any LEED-certified structures? 21. What site assessments do you perform? 22. What paperwork do I need for this construction job, and how much of it do you handle? The construction might be done, but you and your Design-Builder shouldn’t be. Here are a few things to look out for during post-construction. 23. What handoff and training procedures do you offer your clients so they can best manage their buildings? 24. Do you do any follow-up procedures? Do you offer warranties to stand by your work? 25. What records and government compliance documents do you provide? What kind of paperwork can I expect to do once my facility is complete? 26. How do you plan for future expansion? Do you include future expansions into my facility master plan? 27. How do you align future expansion plans with my budget? 28. Have you done any expansion projects for your former clients? If so, what buildings did you expand? 29. How much turnover do you have internally within your company? How will you ensure that the next guy can pick up right where the last guy left off if you work with me for a long time? 30. What in-house training programs do you have for your staff? 31. Can I talk to any former employees who work elsewhere now? 32. Do you have any lasting relationships with clients whom you’ve worked with for a long time? Investing your money, time and energy to get a build done is a huge undertaking. It’s important to stay well-informed throughout the process so you know you’re getting the best bang for your buck. With these questions in your arsenal, you’re off to a good start. Take you planning to the next stage by thinking through the groundwork you’ll need to complete before your project begins. We published a guide that will walk you through that process. Fill out the form below to download the guide.